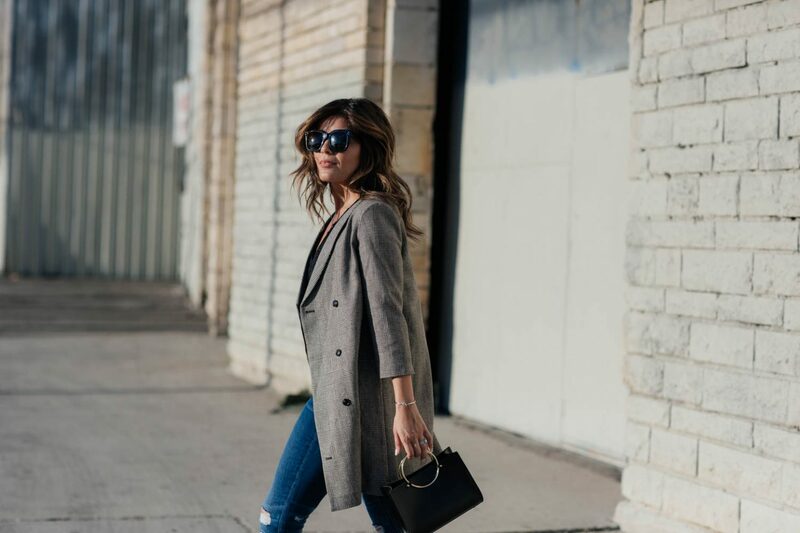 One of the most frequent questions I’m asked is how I started Style MBA, so I thought I would take this time to share my story in the hopes that it can inspire you to pursue your passion and chronicle your own boss story. Growing up, I had always loved fashion. I poured over fashion magazines, would spend Saturdays shopping for hidden (fashion) treasures, and kept tabs on all the latest trends and best beauty products. Fashion was my passion. I eventually went to business school where I obtained a Masters in Business (hence the MBA in Style MBA) and wound up working for the renowned consulting firm, Booz Allen Hamilton. While on a consulting project at the Pentagon, which coincidentally is as far away from the fashion world one could get, I would sneak away on breaks to check my Instagram and chronicle my fashion inspiration. I also enjoyed shopping, but for me, it wasn’t so much about consumption, but rather the hunt for rare finds and unique pieces that I could style in countless ways. As time went on, strangers began stopping me on the street asking me where I bought a particular clothing item. That was the primary catalyst that inspired me to create a blog where I had a platform to share information about fashion and beauty. What began as a side hobby, eventually grew into a loyal following and community of fashionistas and consumers. As time progressed, fashion brands and department stores began contacting me to curate looks and share them on social media. I eventually reached an inflection point in my life where my consulting job was becoming disruptive and had stymied my ability to grow the blog. I had to make a big decision about my life and career. I fantasized about leaving my consulting job to go into blogging and editing my website full time, but I’m also a pragmatist so I had to do some due diligence. I didn’t lead an extravagant lifestyle, but wanted to make sure that I could afford my mortgage, auto payment, health insurance and other living expenses. These are important factors to consider when making this type of career transition: Do you have money saved? Will you be able to cover your basic expenses? How long will it take for your business to become profitable? Will I have to give up my daily coffee run every morning? I was also conflicted because my immediate family worried about the prospect of me leaving a secure consulting job. However, my husband, also an entrepreneur, encouraged me to take the leap full time. He’s a firm believer that successful people are those follow their passion. So after vacillating over the pros and cons, I took the plunge and delved into the blogging world full-time and it has since become a rewarding, fantastic, and fashionable ride! Though the idea of running your own business may make you fantasize about sleeping in, taking long lunches, and working at your leisure, the reality is your time will become even more limited. You’re now the Marketing, PR, HR, Accounting, Creative, and IT departments. Along with these challenges, the fashion industry is also very tough and somewhat insular. There is not only tremendous competition, but the blogosphere is now crowded and it’s become ever more challenging to stand out. All the more reason that it’s critical to find your unique voice and imprint in this space. With Style MBA, I wanted to share more than just your standard outfit post. My value proposition was to highlight the back story about the brand, the clothing profiled, and also encourage readers to think about investment pieces rather than filling their wardrobes solely with items on trend. My goal was to also add a sense of “realness” to the look by letting my personality and humor shine through Style MBA. Two years later, I’ve developed what I think is an influential voice in the digital space. I’m now traveling across the globe for fashion clients and have expanded my blog to include travel, hospitality, and lifestyle brands. As you think about entrepreneurship and being your own boss, here are some tips that will hopefully help your efforts. What makes you tick or get up in the morning? What are your passions? Business, fashion and travel are mine and so when it’s your passion, it doesn’t feel like a job. With that said, becoming more familiar with your passion will help you have a better understanding of the career path you want to take. Have a clear vision of your business’ purpose, direction, and market. Are you filling an unmet need? Create a clear business plan and run though financial scenarios to ensure that you will be able to monetize on your passion and reach your long term goals. Make a list of daily, weekly, monthly and quarterly goals you want to accomplish and ways to measure your success. Make sure to set tangible goals, be open to feedback, and work on agility. Your business is an organism that will constantly change, so make sure you adjust accordingly. Running your own business means you need to put yourself out there. Tell family and friends about your new business, update your social media portals and LinkedIn, attend industry events, and constantly network. You never know whom you may run into that will be helpful to your business. Don’t be afraid to ask for help. There is a reason for the saying, “power in numbers”. Use your network and connect with potential clients and pitch them marketing plans. You may not always get a response back, but try to stay in a potential client’s line of sight. I hope you’ve enjoyed my story and quick tips about being your own boss. 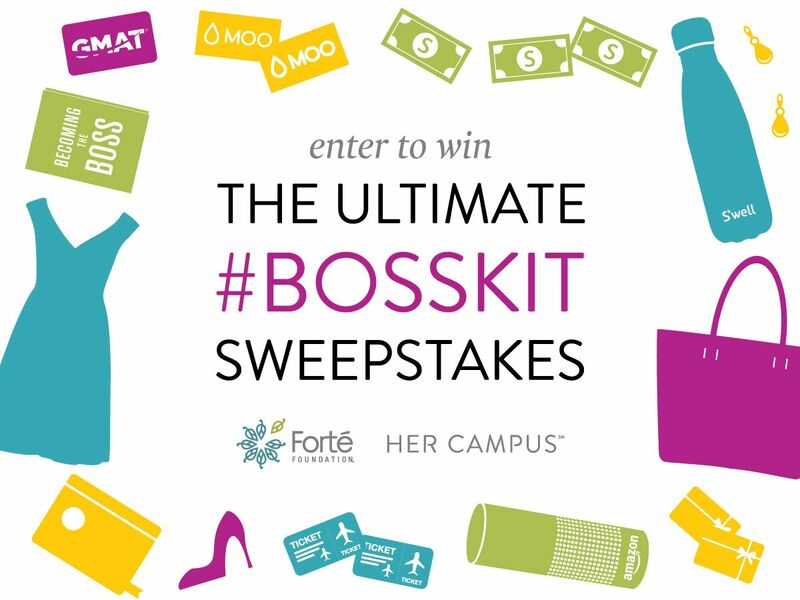 We want to make sure you have all the tools you need in your journey to become your own boss, so Forte Foundation is giving you the chance to enter to win a #BossKit. 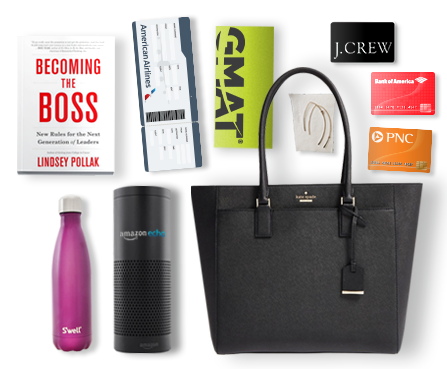 Be a Boss and make sure to enter today! Dream big and may all your dreams come true. I seriously felt like I was reading my own story. I just made the leap and I have the best feeling about it…. like this is what I’m meant for. Thank you for sharing your story and further concluding that this was the right move for me.